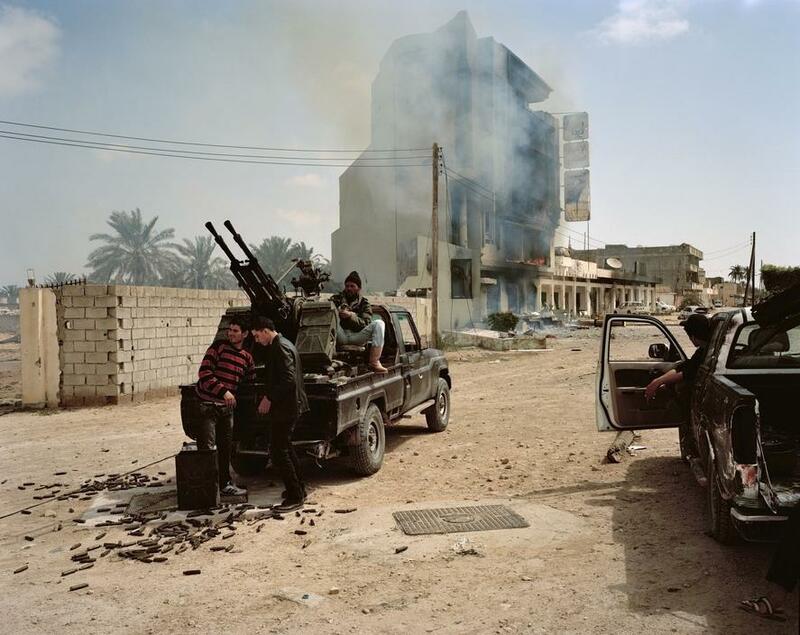 Timothy Alistair Telemachus “Tim” Hetherington (5 December 1970 – 20 April 2011)was a British photojournalist who died while at work capturing Libyan civil war. 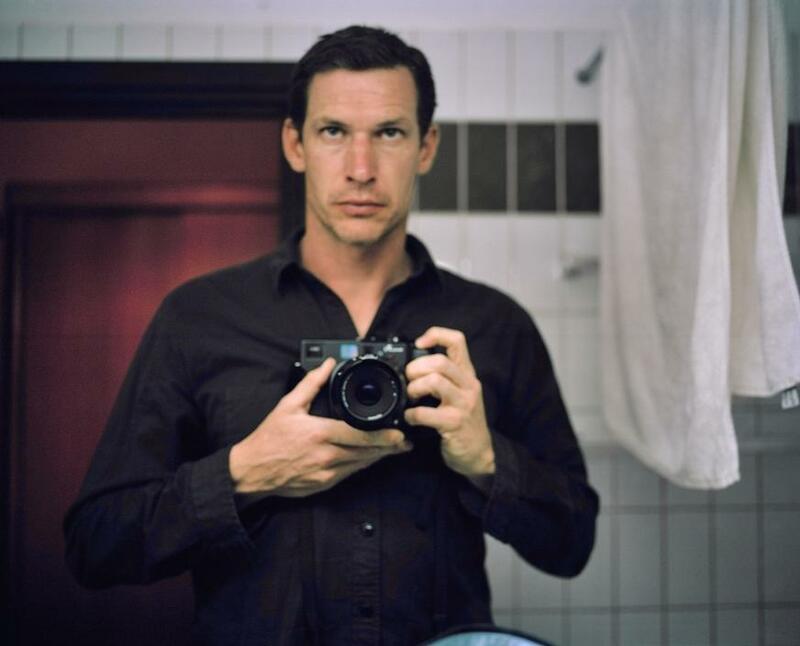 His works “ranged from multi-screen installations, to fly-poster exhibitions, to handheld device downloads.” He co-directed a documentary film with Sebastian Junger, Restrepo (2010), which they were nominated for an Academy Award for Best Documentary Feature in 2011. 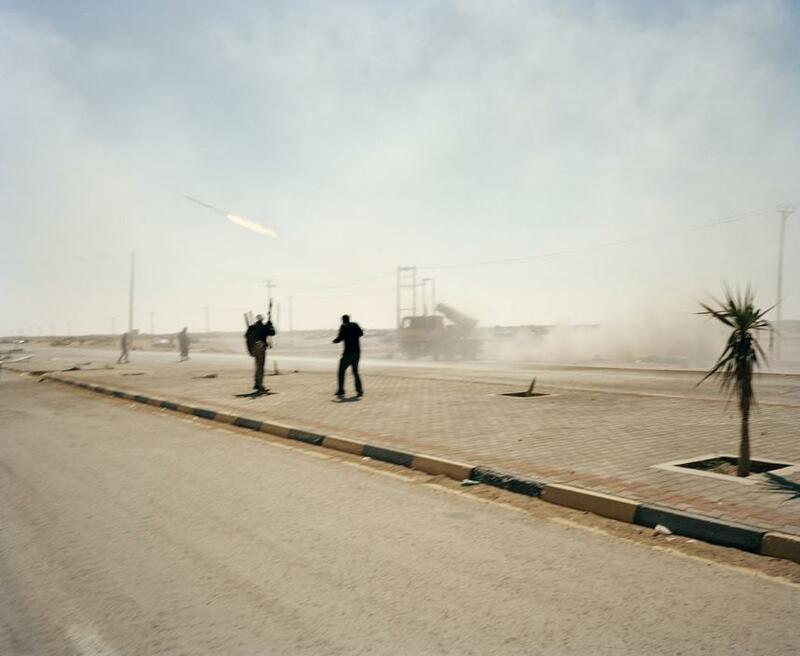 Hetherington was killed by shrapnel from either a mortar shell or an RPG fired by Libyan forces while covering the 2011 Libyan civil war. 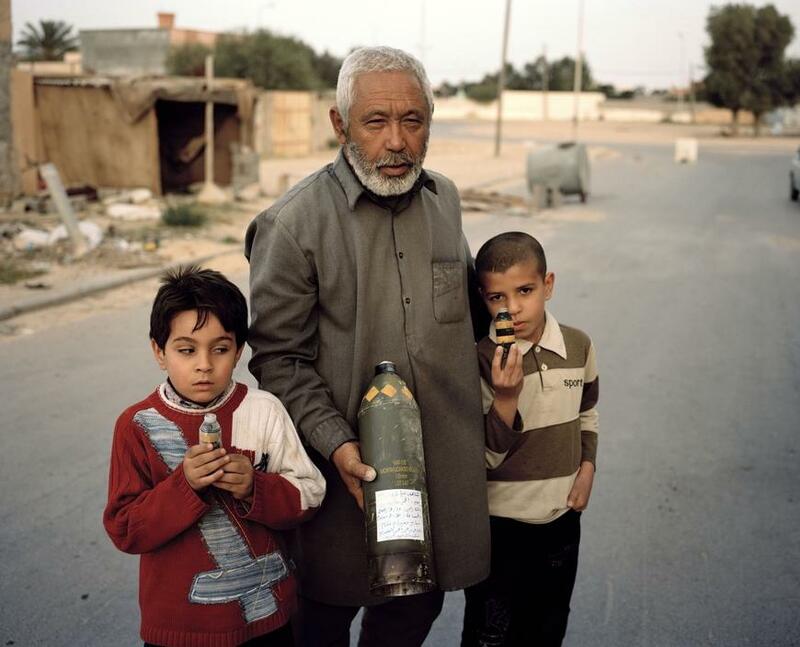 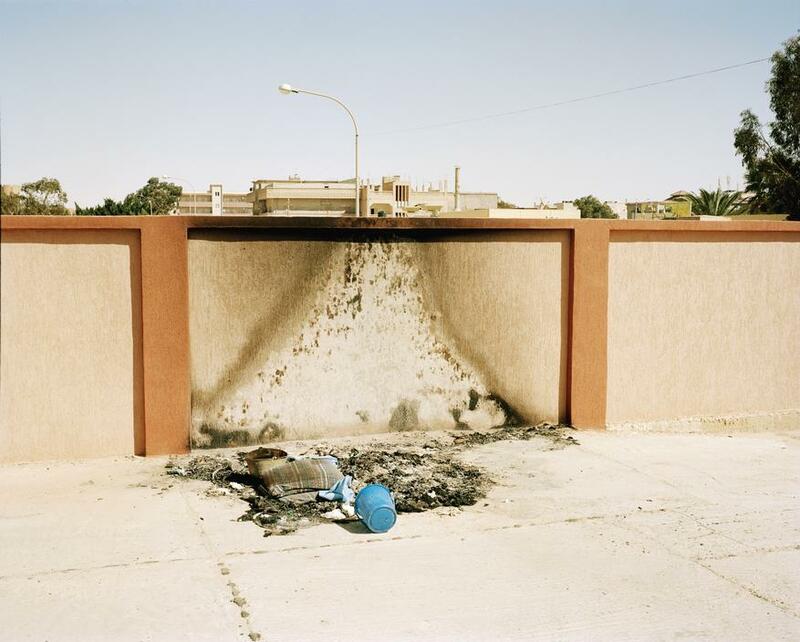 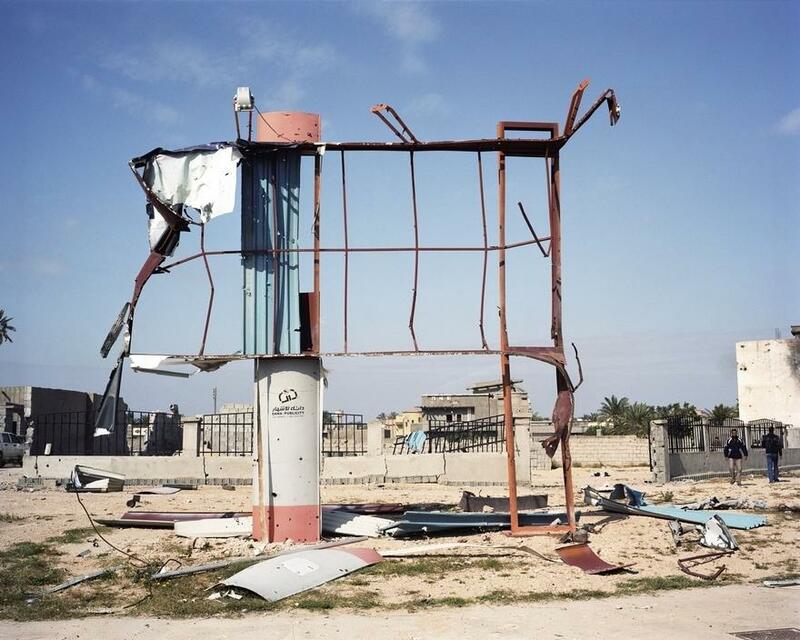 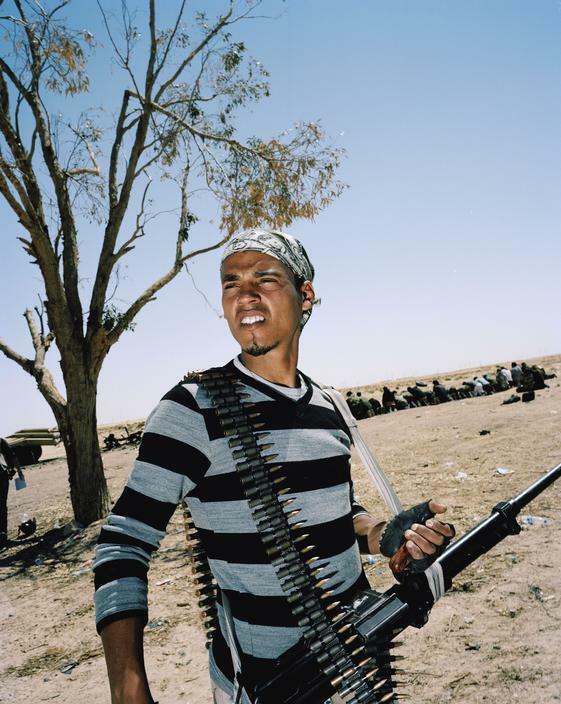 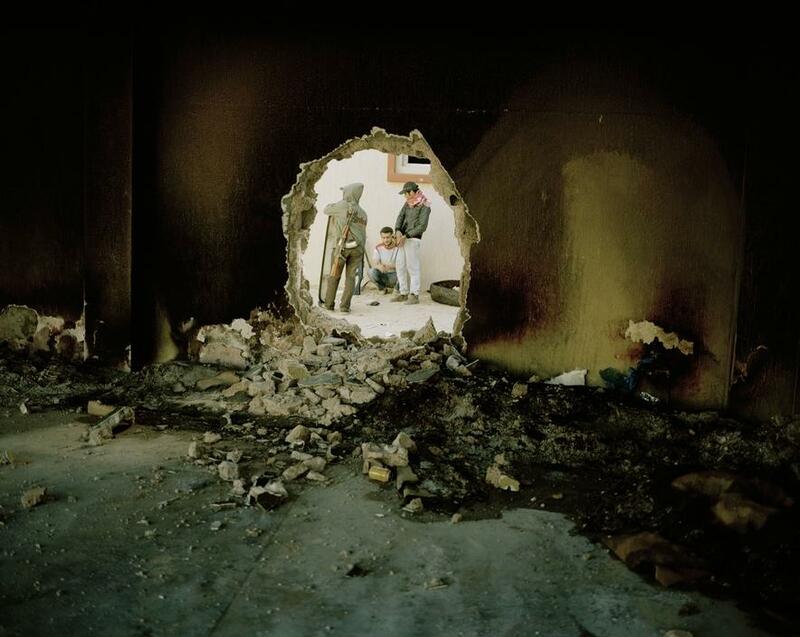 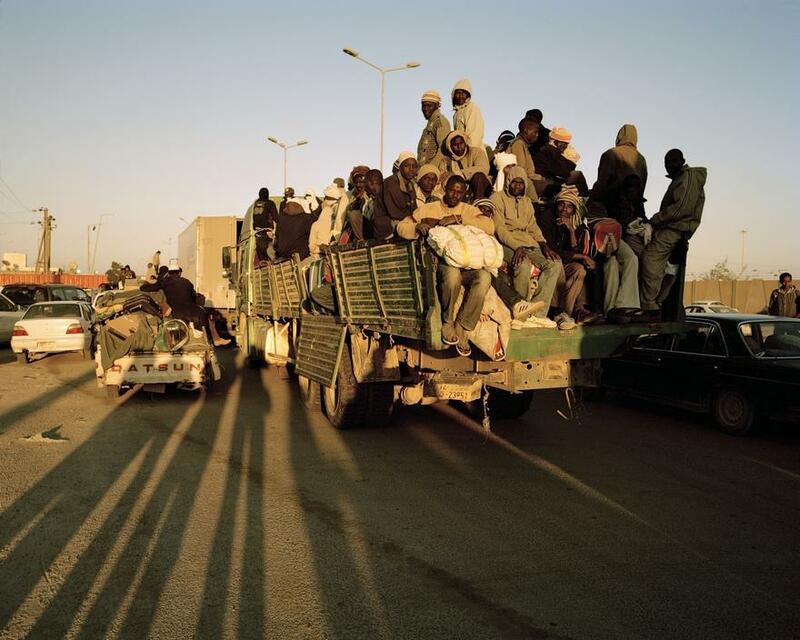 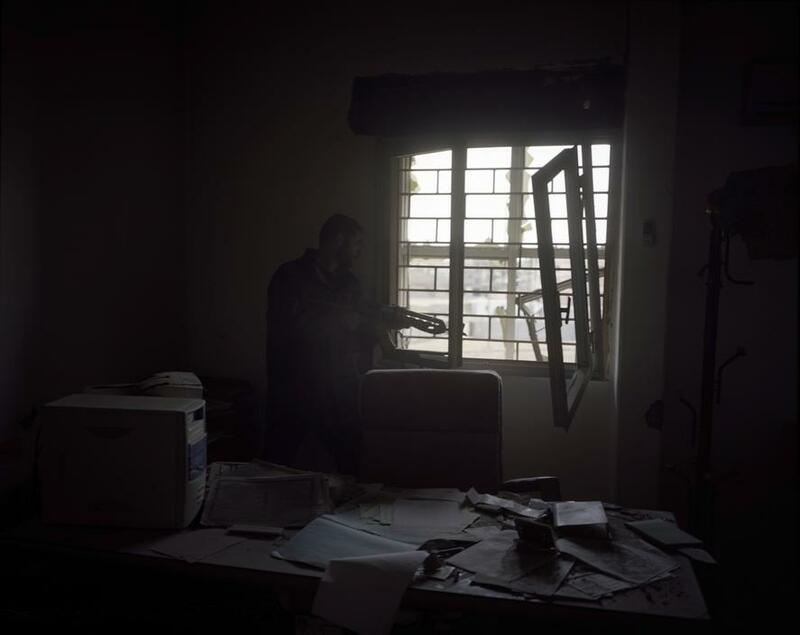 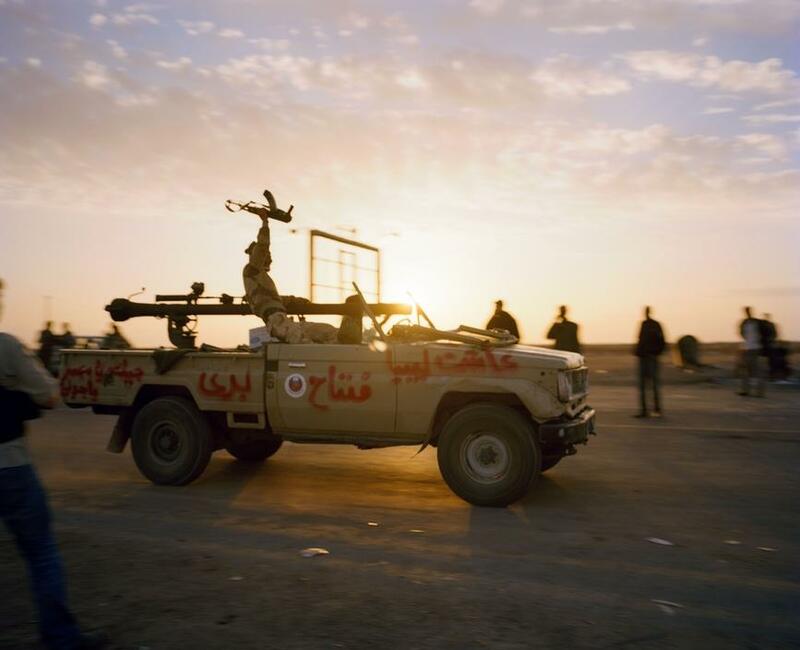 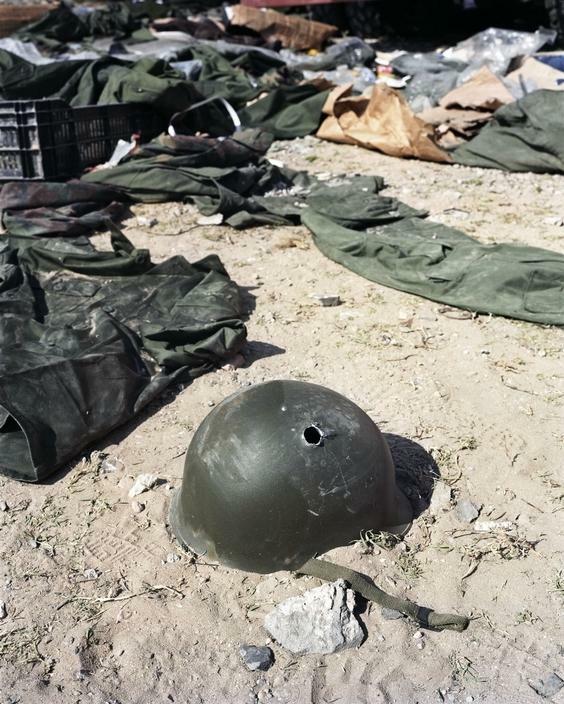 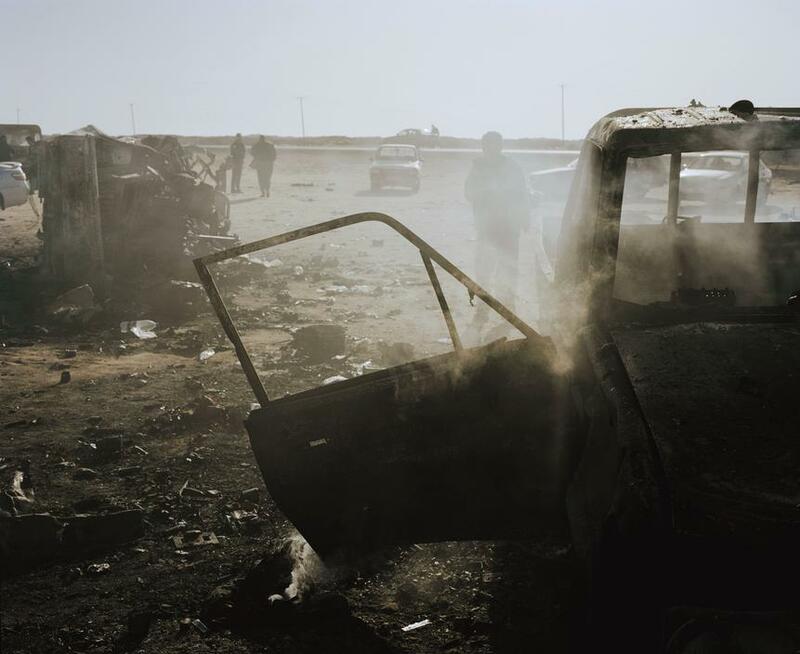 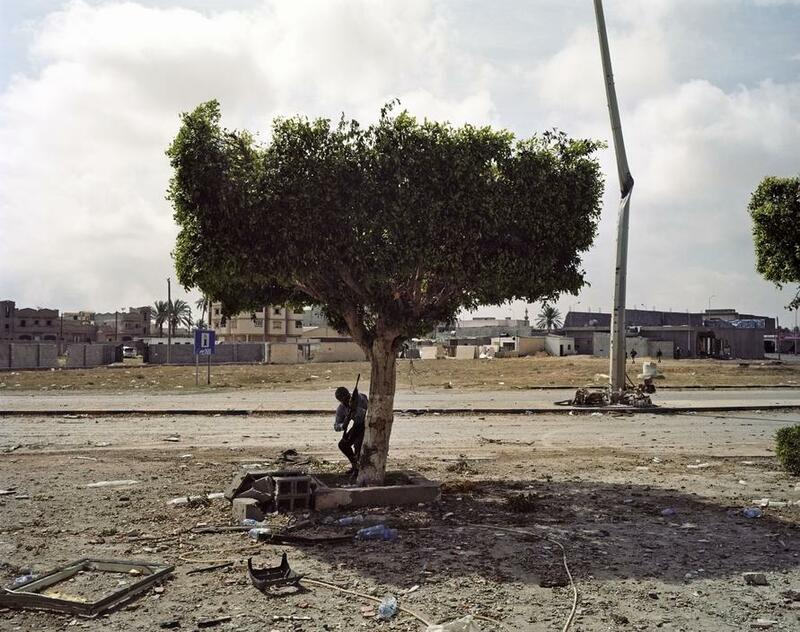 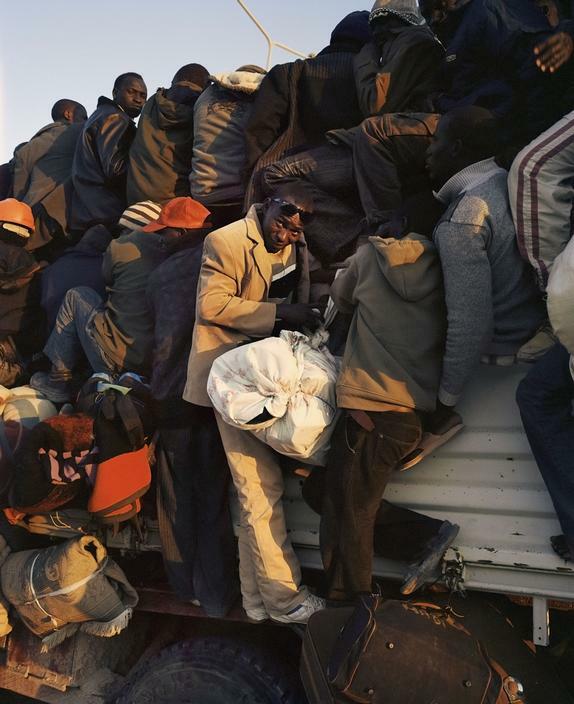 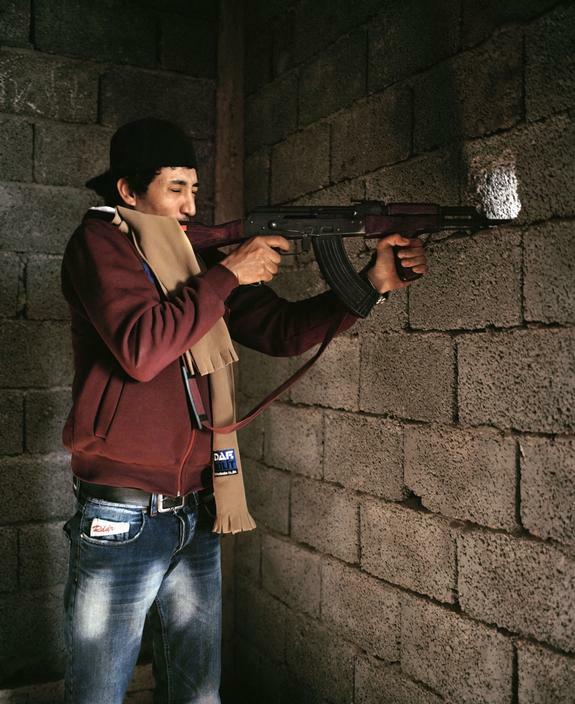 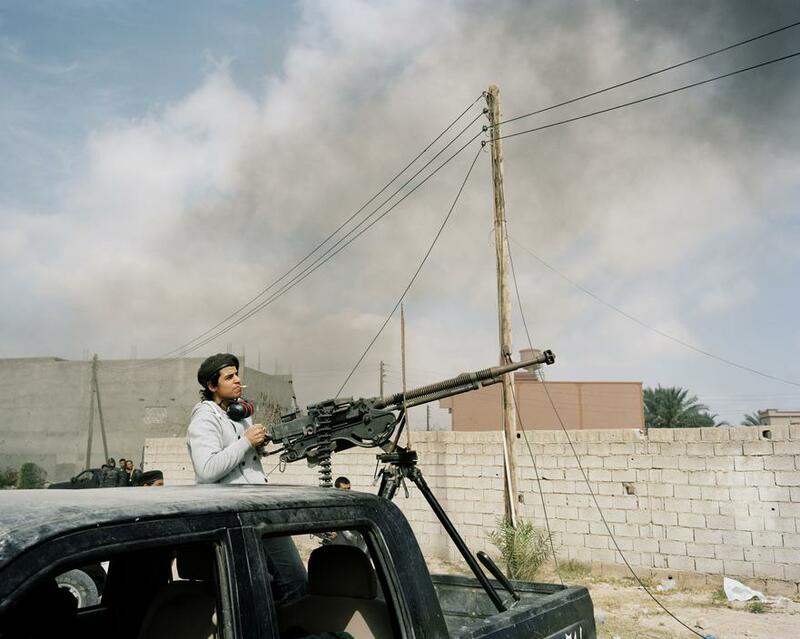 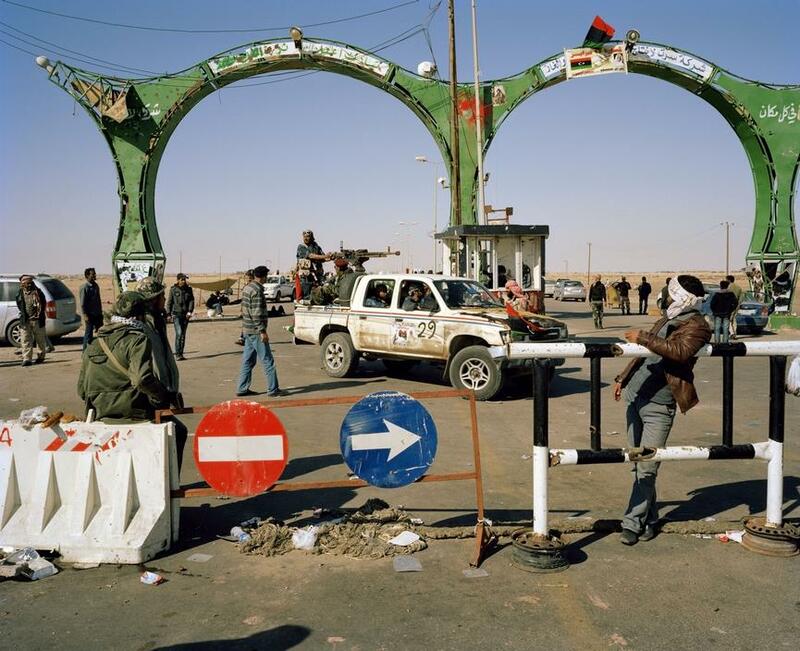 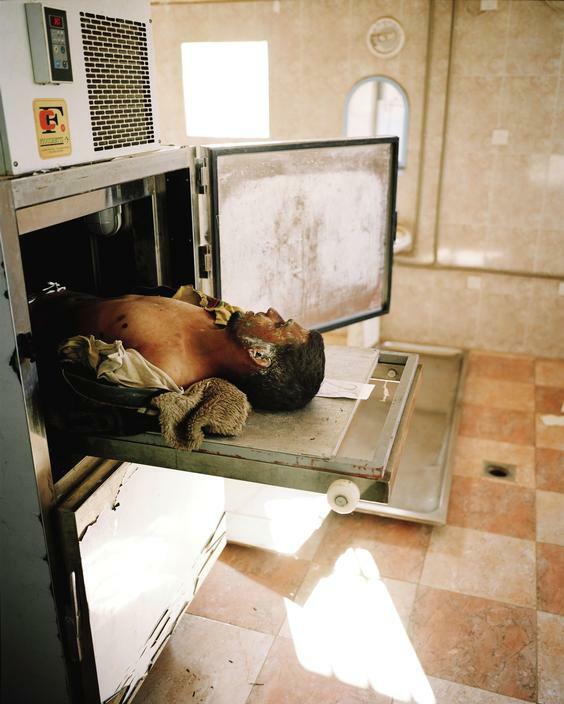 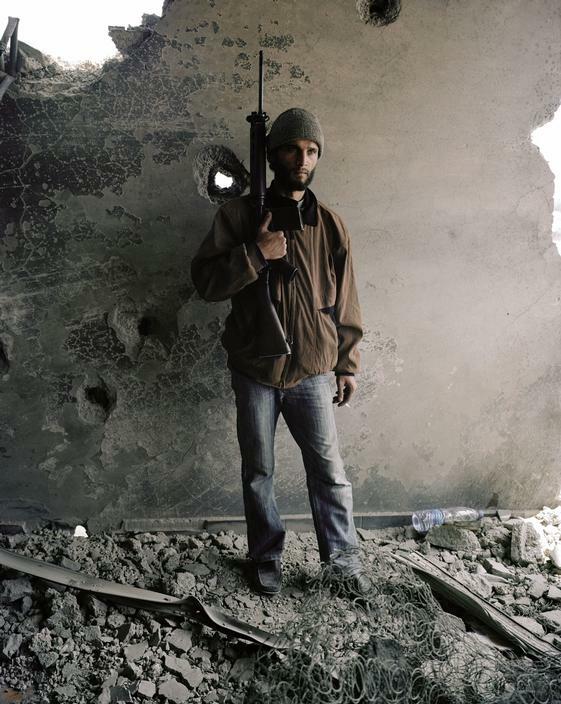 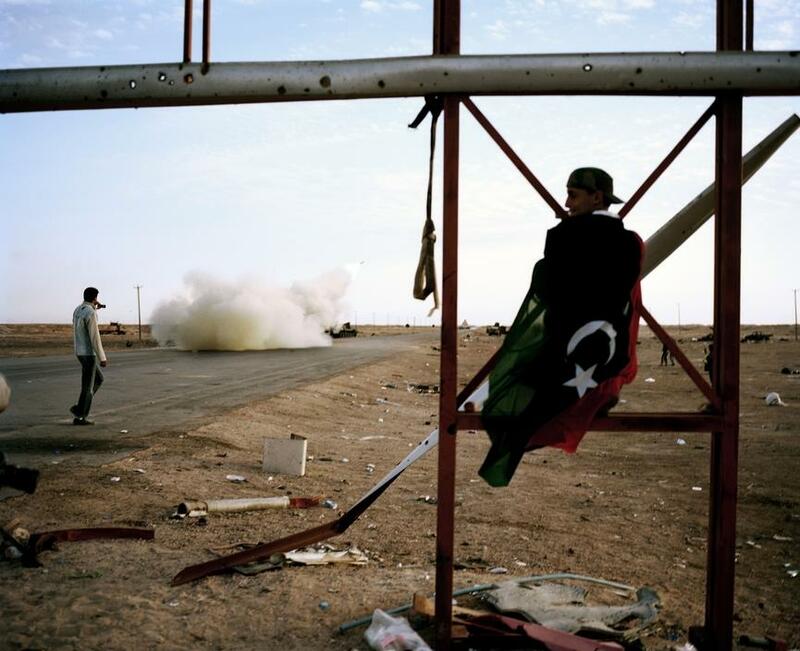 In April of 2011, Tim Hetherington headed out to Libya to photo the continuous uprising against the administration. 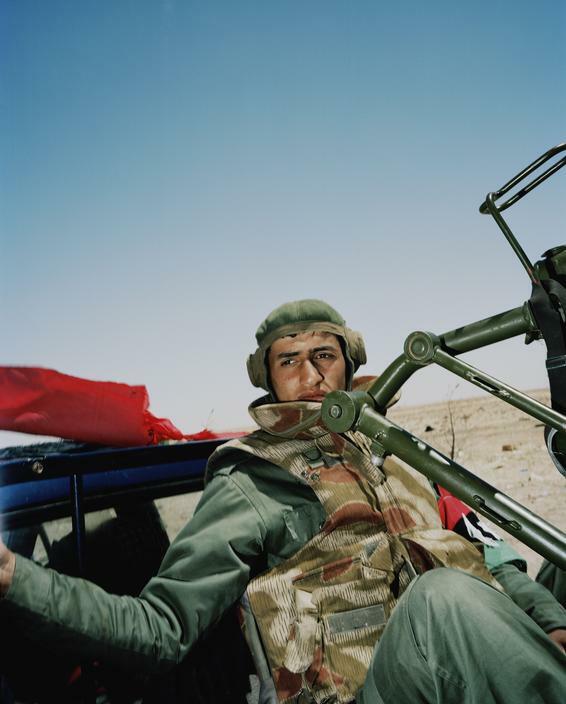 His objective was not to photo the “news” of the day, but instead to concentrate on the thought of what he depicted as the “Battlefield” and young people carrying on what they must envision as the Hollywood form of how a renegade trooper looks and acts. 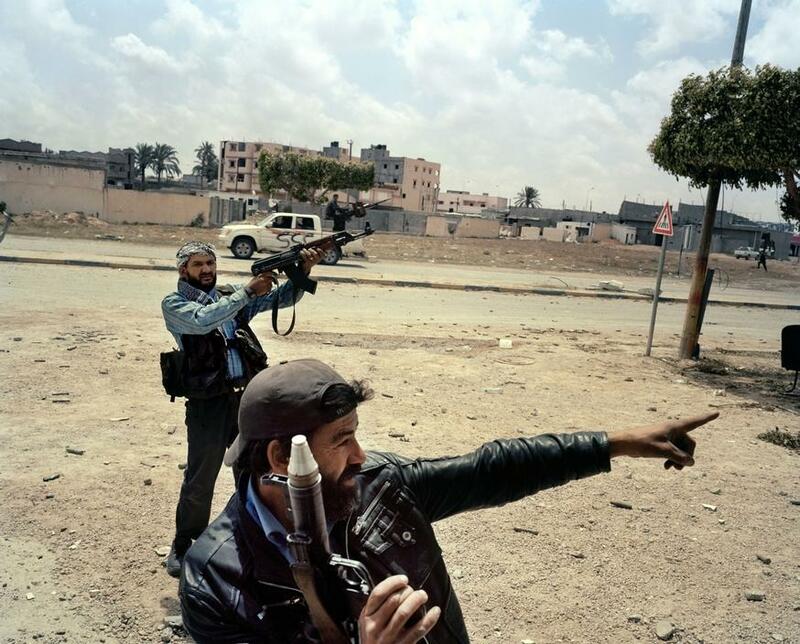 He didn’t utilize an advanced cam like different news picture takers on the ground. 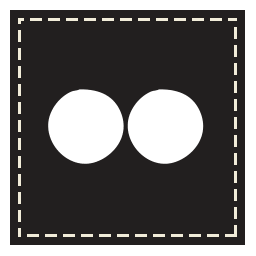 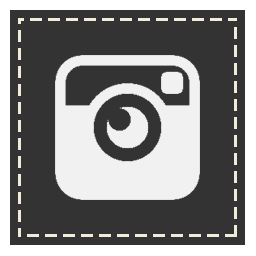 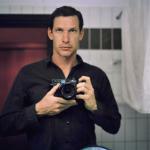 Rather, he made these pictures with a medium configuration film cam giving the pictures much more noteworthy point of interest and clarity. 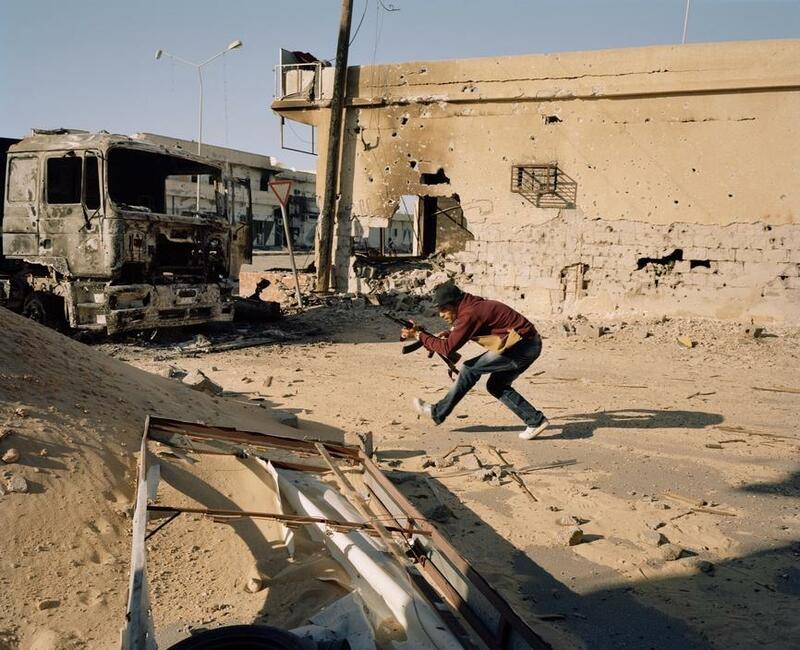 When he was slaughtered on April twentieth by a mortar in the city of Misurata, he had shot around 53 moves of film. 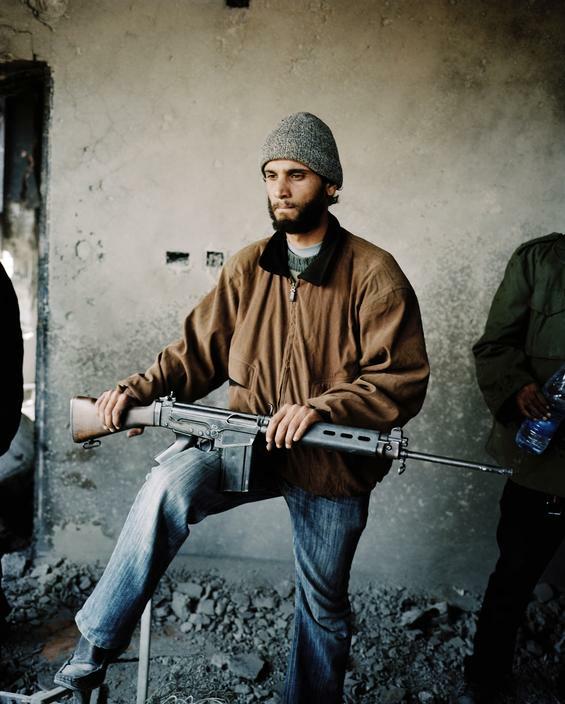 These are the pictures from those moves, the last pictures Tim Hetherington would make.